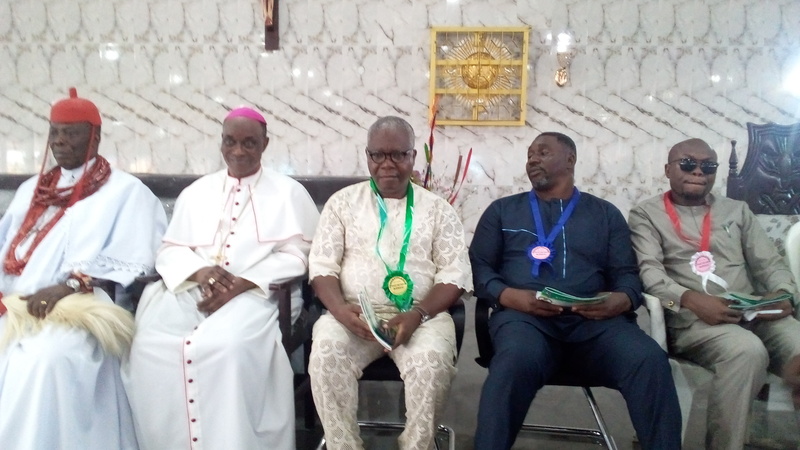 St. John Paul 2 Catholic Military Church Chaplaincy, David Ejor Barracks, Effurun under the Catholic Dioceses of Warri has presented award of excellence to the Chairman of Warri South Local Government Area, Hon. (Dr.) Michael Tidi, Chairman of Uvwie Local Government Area, Hon. Ransom Onoyake, Managing Director of Delta State Oil Producing Areas Development Commission DESOPADEC, Dr. Williams Makinde and others for their contributions toward building of the church and its rededication to the glory of God. 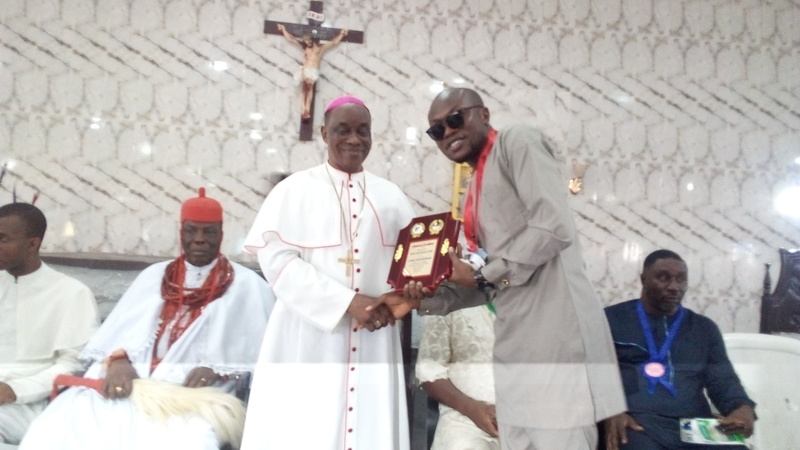 Speaking exclusively to Fresh Angle International after receiving the award, Chairman of Warri South Local Government, Dr. Michael Tidi noted that the award him will spur him to do more for the things of God in order to attract His blessings. Dr. Tidi expressed joy for the honour and enjoined others to support God’s project irrespective of denominations so as to enhance the work of God. The Catholic Bishop of Warri Dioceses, Most Rev. (Dr.) John Oke Afereha prayed for the awardees and advised them to see the honour as privilege to do more in moving the work of God forward. In his remark, the Chaplain of St. John Paul 2 Catholic Military Chaplaincy, Rev. Fr. (Lt.) Norbert Ugwuoke commended the awardees, noting that the recipients have done excellently well in terms of supporting God’s work, hence the award of excellence. "It is our conviction that any society that does not come to know or appreciate the key people behind its progress, will never become truly successful, that is why we owe you all tribute, thanks a million fold", Rev. Fr. (Lt.) Norbert Ugwuoke stated. Our Senior Correspondent reports that others who spoke included: The Orodje of Okpe, Orhue 1, The Commanding Officer (Rear) 3 Battalion Warri, Major SY Hassan (Co-host), Olorogun Williams Makinde and Hon. Ramson Onoyake.